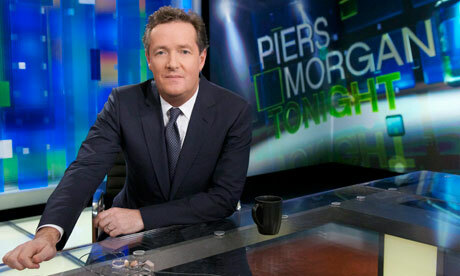 Devastated that the Piers Morgan Live show has been cancelled! Bullied by the NRA, perhaps? Hopefully he will have his own show again soon, Get your S—-T together CNN! Glad to see this arrogant man go. Please find someone less pompous to take his place. I am glad that he was fired. His radical views regarding taking away gun rights did fire up the NRA and non members like myself. I am not a member of the NRA but I now agree with the NRA. I am American Indian. American Indians right to own firearms was finally lifted in 1979. Yes 1979. Check it out. We have been breaking the law for years and will never give up are guns. Pierce Morgan wanted to turn back the clock. The Indian and cowboys finally agree. I agree with gun safety but strongly disagree with gun CONTROL.